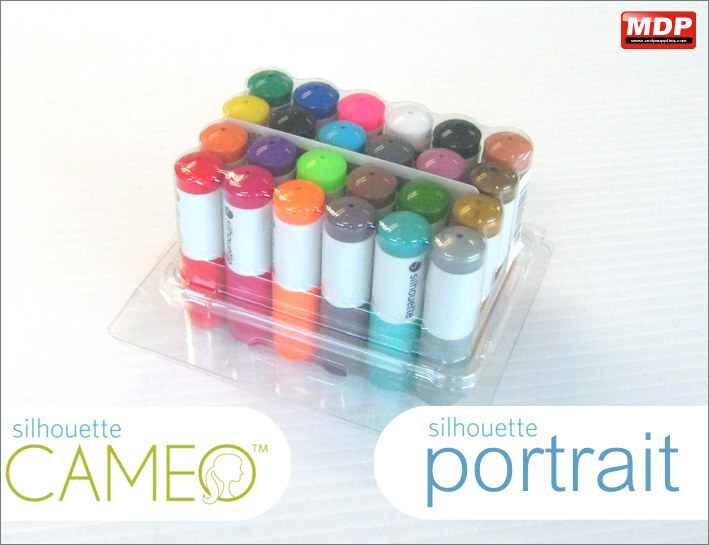 Pack of 8 sketch pens for the Craft Robo and Cameo cutters. Price for 3 - 4 £7.29 ea. Price for 5+ £7.09 ea. 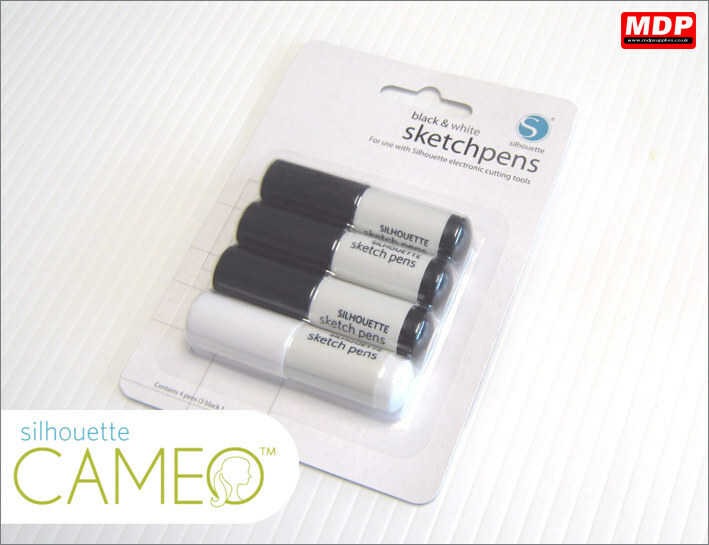 Pack of 24 sketch pens for the Craft Robo and Cameo cutters. Price for 1 - 2 £14.99 ea. Price for 3 - 4 £14.59 ea. Price for 5+ £13.99 ea. 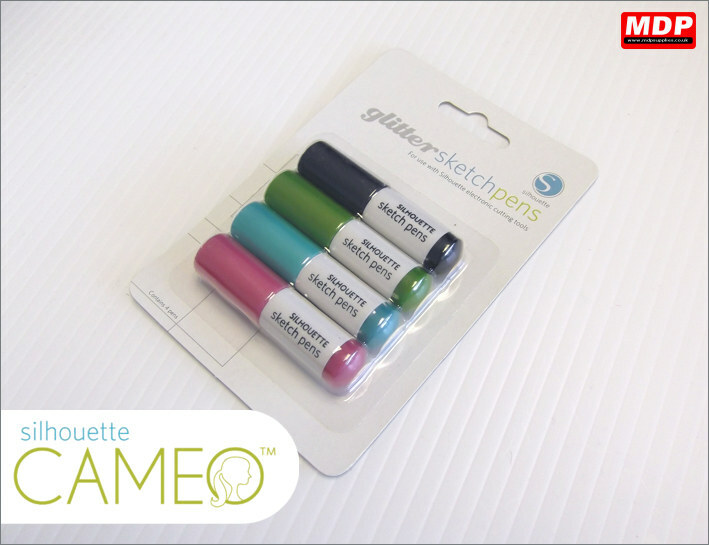 Pack of 4 glitter pens for the Craft Robo and Cameo cutters. 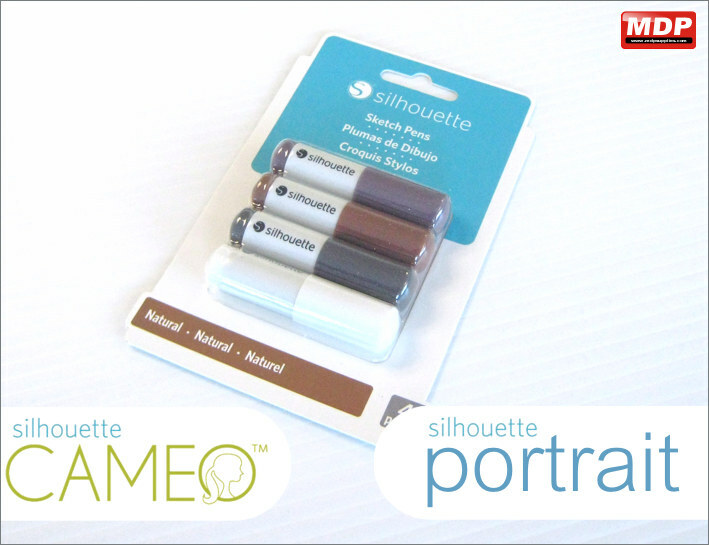 Pack of 4 pens - 3 black, 1 white for the Craft Robo and Cameo cutters. Price for 1 - 2 £5.45 ea. Price for 3 - 4 £5.35 ea. Price for 5+ £5.25 ea. 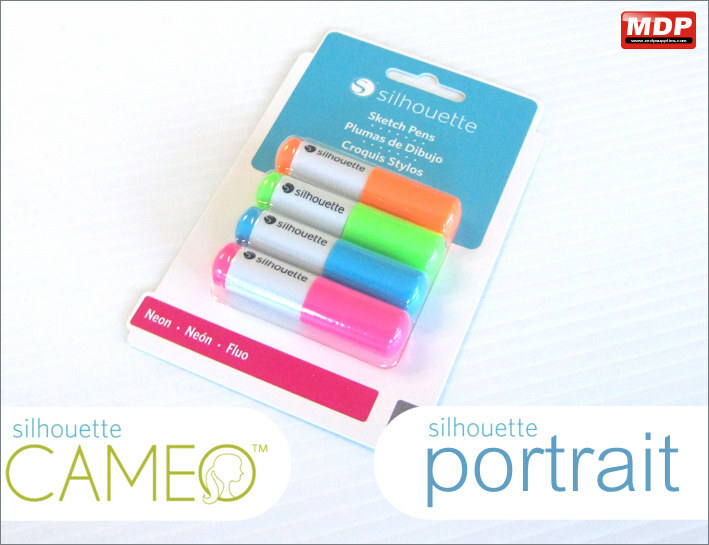 Pack of 4 neon sketch pens for the Craft Robo and Cameo cutters. 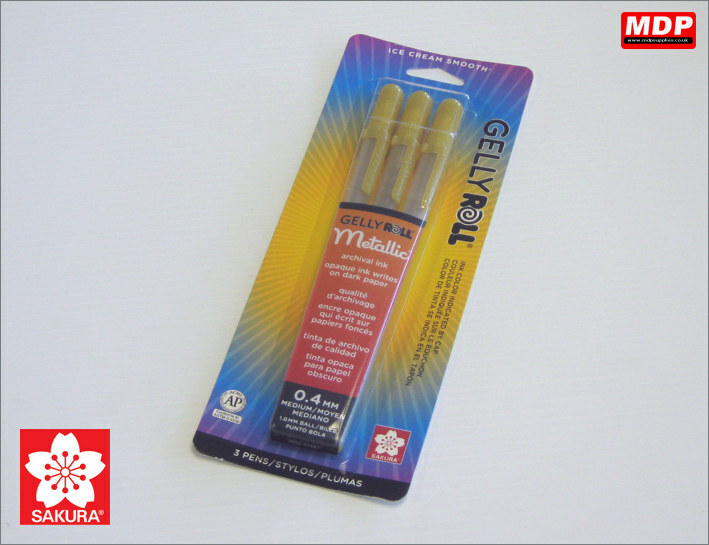 Metallic gold gel pens.Pack of 3 pens. 0.4mm line thickness. Price for 1+ £2.89 ea. 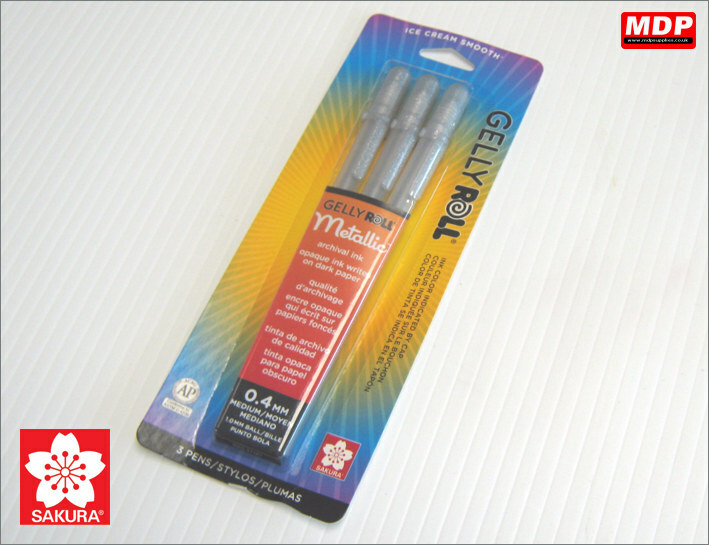 Metallic silver gel pens.Pack of 3 pens. 0.4mm line thickness. 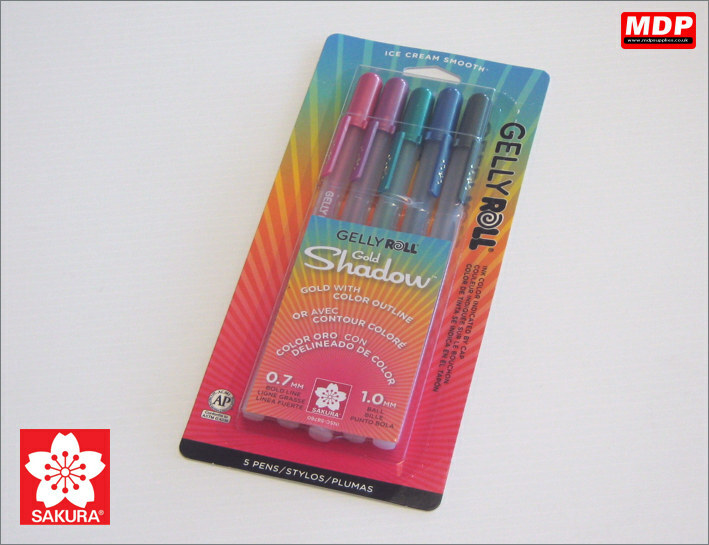 Metallic gold gel pens with a coloured contour border.Pack of 5 different colour pens. Best results on uncoated, fiberous paper. 0.7mm line thickness. Price for 1+ £5.79 ea. 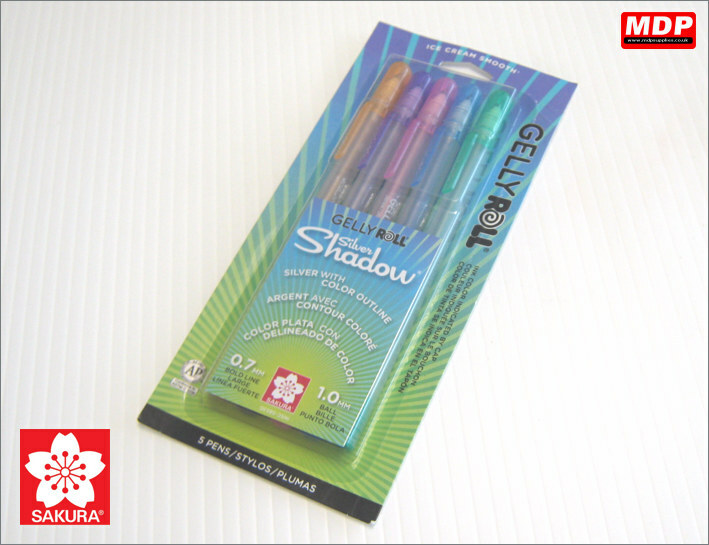 Metallic silver gel pens with a coloured contour border.Pack of 5 different colour pens. Best results on uncoated, fiberous paper. 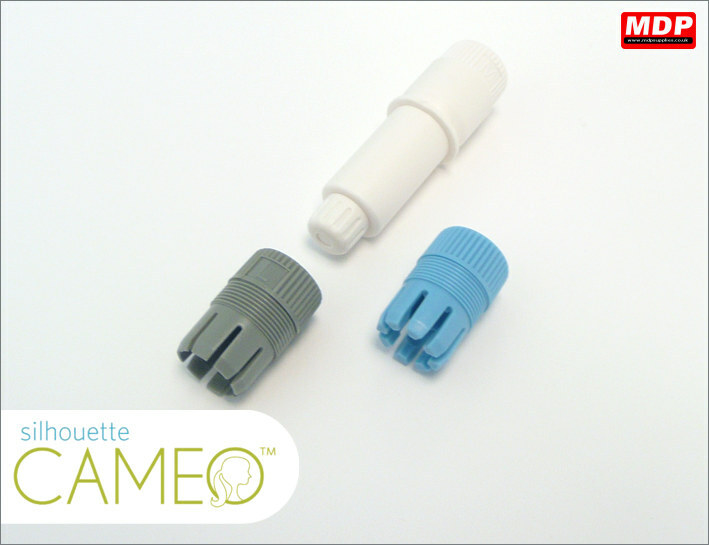 0.7mm line thickness. 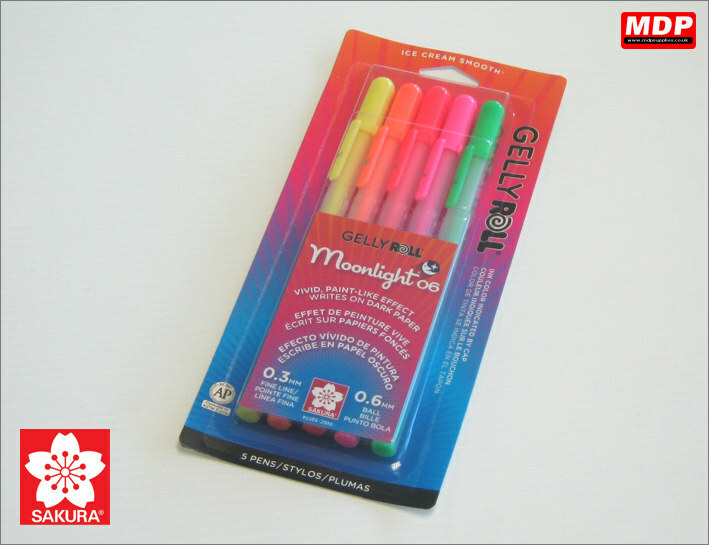 Neon gel pens. 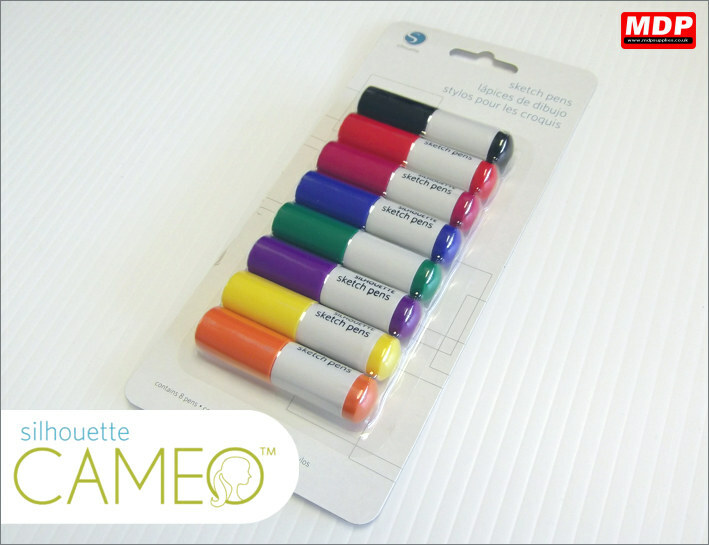 Pack of 5 different colour pens. 0.6mm line thickness. Price for 1+ £4.95 ea. 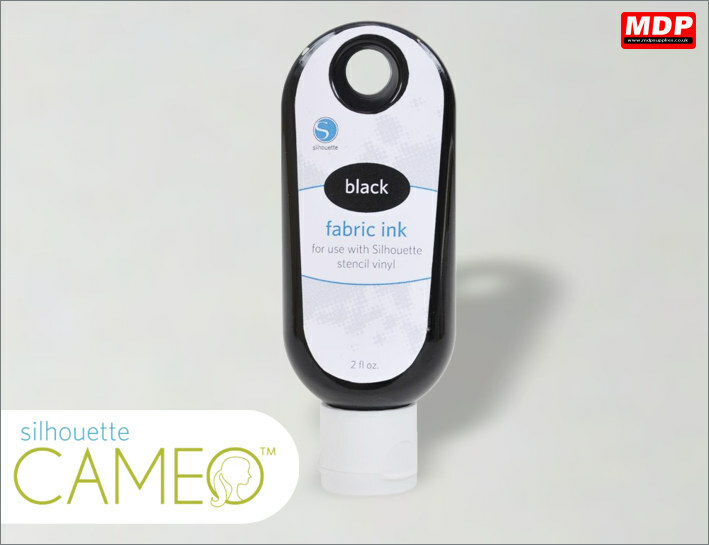 60ml bottle of black fabric ink. Price for 1 - 2 £4.99 ea. 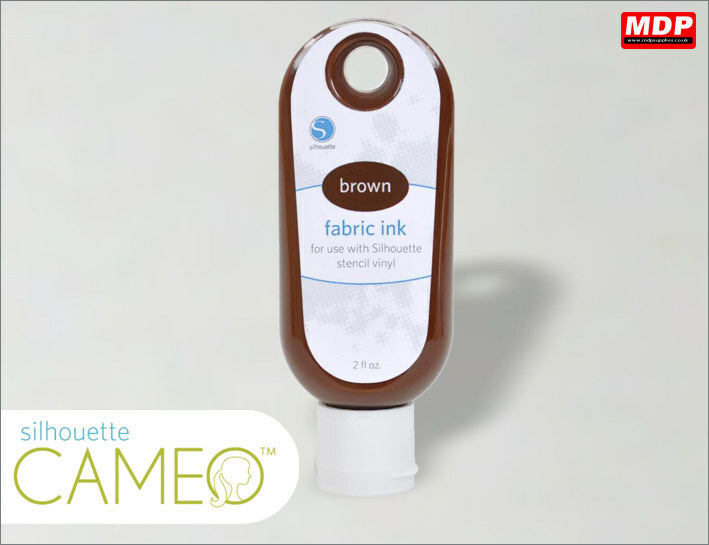 60ml bottle of brown fabric ink. 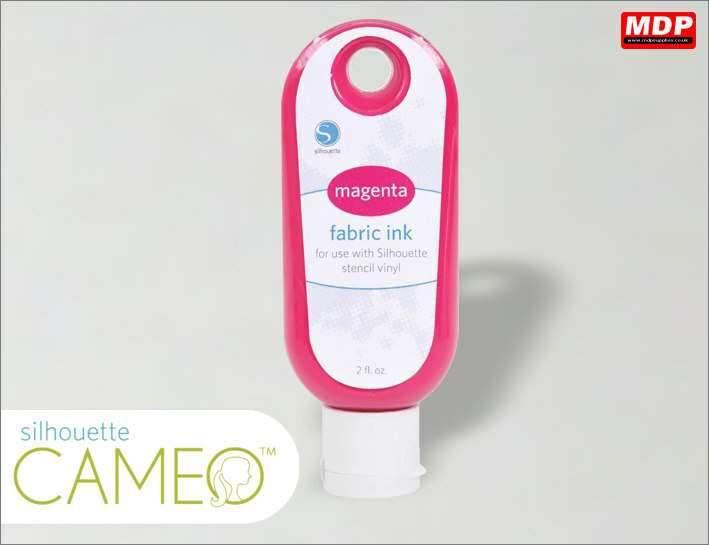 60ml bottle of magenta fabric ink. 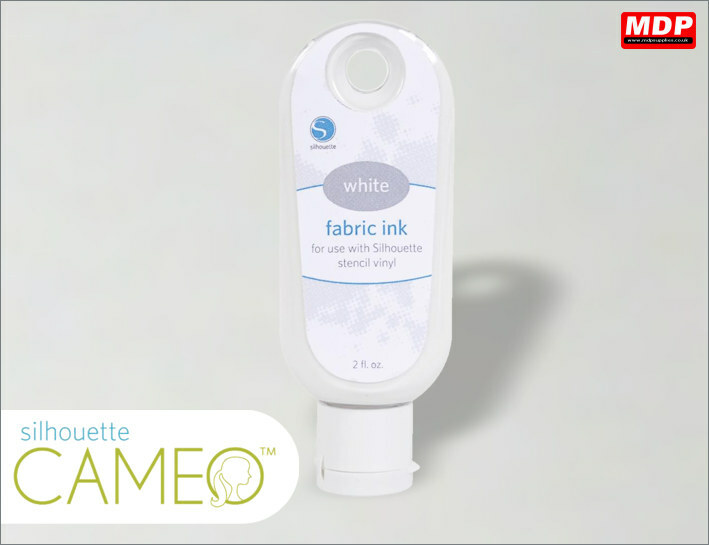 60ml bottle of white fabric ink. 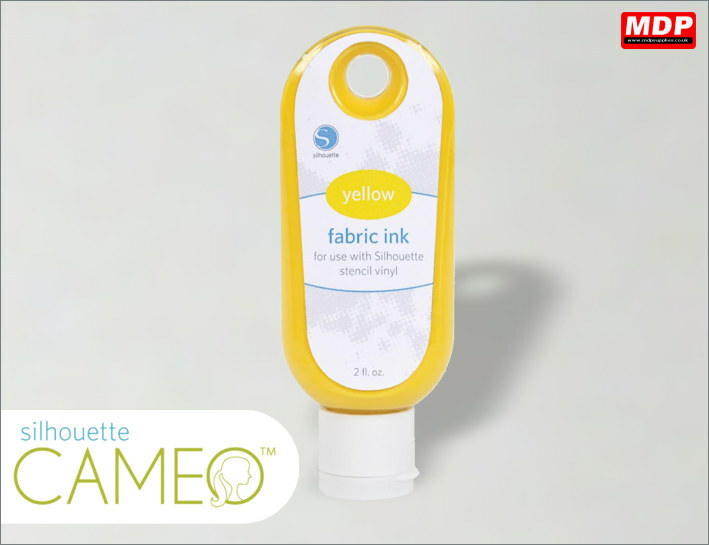 60ml bottle of yellow fabric ink. 60ml bottle of tan fabric ink.